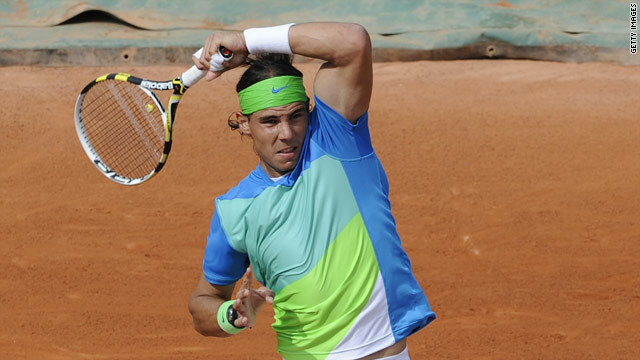 Rafael Nadal will now face Lleyton Hewitt in the third round of the French Open after another straight sets victory. (CNN) -- Defending champion Roger Federer and second seed Rafael Nadal continued their march to a potential French Open final after both claimed comfortable straight sets victories on Friday. Top seed Federer cruised past German qualifier Julian Reister 6-4 6-0 6-4 to reach the fourth round and will now face fellow-Swiss Stanislas Wawrinka -- who beat Italian Fabio Fognini -- for a place in the quarterfinals. "I feel fine. I haven't faced the top guys yet but the players I have faced are dangerous, they all have their own skills on this surface," Federer told AFP. "The guy today has played five matches here (three qualifiers and two main draw), so I couldn't underestimate him." Meanwhile, Nadal will next face former world number one Leyton Hewitt in the third round after victory over fellow-left hander Horacio Zeballos of Argentina. In a match held over from Thursday because of rain, the Spaniard eased to a 6-2 6-2 6-3 win and next faces 28th seed Hewitt, who was taken to five sets by Denis Istomin of Uzbekistan. "Lleyton is a very dangerous guy and he plays at a very high level. He's going to do his best to win," said Nadal, who is bidding for his fifth Roland Garros title in six years. Federer was joined in the last 16 by fourth seed Andy Murray, who overcame a disastrous third set to defeat Marcos Baghdatis of Cyprus 5-2 6-3 0-6 6-2. The Briton, who was playing for his third successive day because of the poor weather, next faces Czech 15th seed Tomas Berdych for a place in the last eight. Third seed Novak Djokovic is a round behind and the Serb next plays Victor Hanescu of Romania after a straight sets win over Japan's Kei Nishikori. Last year's beaten finalist Robin Soderling dropped his first set on his way to a 6-4 7-5 2-6 6-3 third round victory over Spain's Albert Montanes and the fifth seed takes on 11th-seeded Marin Cilic. The biggest shock in the men's section on Friday came when last year's semifinalist and 12th seed Fernando Gonzalez was dumped out in straight sets by Ukrainian Oleksandr Dolgopolov.